When we first met Lisa we were instantly inspired by her bright, bubbly and positive personality. As the owner and star of the popular fashion and motherhood blog “Stilettos and Diaperbags” ( http://www.stilettosanddiaperbags.com/ ) you can immediately tell that you are in the presence of not only talent but a truly genuine person. 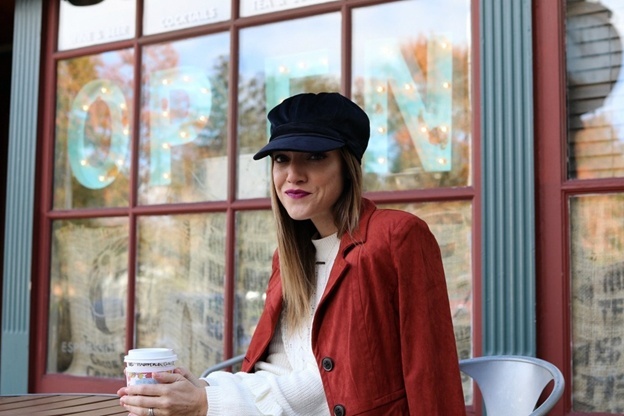 Knowledgeable and enthusiastic about all things parenting and style her web presence provides a wealth of insight into what it takes to be a down to earth fashionable mom. Working with Lisa to create a dream jewelry for mom layering necklaces piece was a true joy every step of the way. 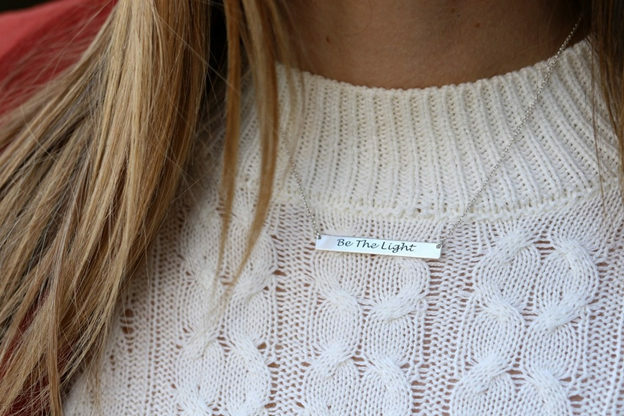 We decided on a Kavalis.com custom personalized bar pendant which served as the perfect jewelry for mom setting for one of Lisa’s new favorite sayings which is “Be The Light”. The following quote by Lisa which so elegantly describes the meaning behind her personalized jewelry piece is a magnificent representation of exactly the type of person she is. Like Lisa we to aspire to bring more joy and light into the world with our custom Kavalis.com jewelry options, like our bar pendants, which is why it was so wonderful working with her. Beautiful in all regards Lisa is the type of person you are thankful to have crossed paths with in life. To all those sharing their stories we wish you nothing but a bright light at the end of your tunnel and journeys. As Lisa would want us to do lets all take each day as a gift to “Be The Light” and become more caring, loving and forgiving people. What makes your light shine? What inspirational saying would you have engraved on your personalized jewelry or layering necklaces piece?